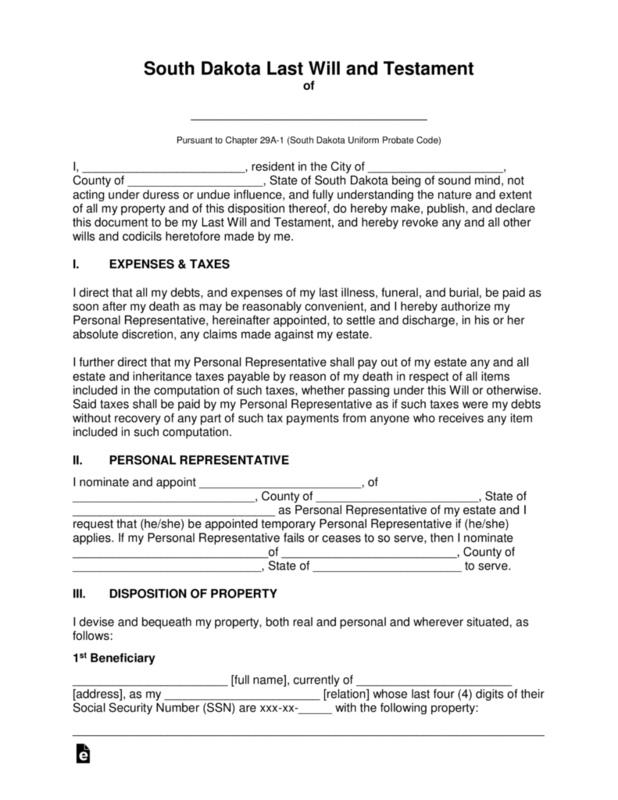 The South Dakota Last Will and Testament is a legal document that is written by a testator which would clearly state how they would wish their estate to be distributed upon their death. 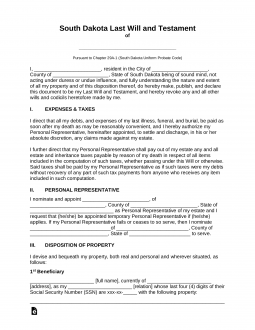 This document would allow the continuation of financial protection for their immediate and/or extended families, as well, would provide possible personal property, real property, fiduciary and other types of available assets to other beneficiaries they may wish to provide to others. As the testator completes the document, it must then be signed not only by two witnesses but then again by a state notary public. The testator is welcome to change or revoke this document at any time. Signing (Section 29A-2-502) – Signed in the conscious presence of the testator by Two (2) or more individual Witnesses. Step 7 – Notary – As the testator completes the document, all signatures shall be witnessed and acknowledge by a state notary public.